As a marketing intern, I am very curious about the marketing, branding and advertising of industry-leading companies like Apple, Coca-Cola, Disney, Google, Starbucks, etc. I was thrilled to receive an invitation to InterExchange’s cultural meetup at Barneys New York. Luxury retail is one of the most challenging and interesting industries for marketing, especially in NYC, and I was very excited to get a chance to learn more about it. 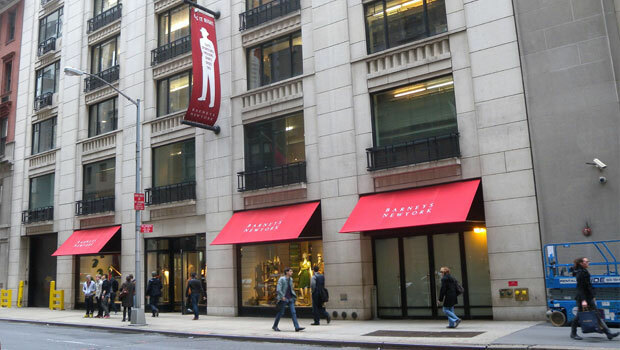 Before the meetup I knew that Barneys was more than just a luxury department store in NYC, that it’s an iconic store that has become a part of fashion history. It has built a worldwide market presence and now has customers all over the world, but I had no idea how the company got to where it is now and was looking forward to finding out. Image by Jim.henderson via Wikimedia Commons. 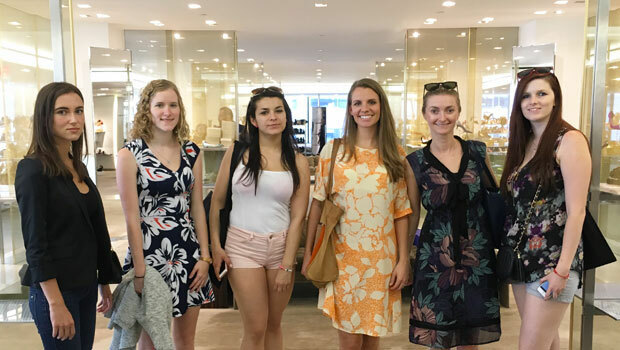 I joined InterExchange staff and other J-1 Visa Exchange Program participants like myself for the tour of the famous Barneys New York Madison Avenue location. The tour was guided by the Manager of Concierge Services at Barneys, Taylor Piedra. Taylor started our tour by telling us the history of the company and what makes Barneys so unique. He pointed out that the company is so world-famous and so high end because the company discovers new top designers for the U.S. market and makes exclusive deals with them. For example, Barneys discovered Prada, brought them to the U.S. market, and made them a fabulous success. According to our guide Taylor, Giorgio Armani and Manolo Blahnik are some of the most well known designers/brands that were originally discovered by and sold only by Barneys. This entrepreneurial idea to find new designers, make exclusive deals, and bring them to the U.S. clearly has worked wonders for Barneys as a company. In the jewelry section, Taylor showed us another one of the Barneys findings — Sevan Bicakçi, a Turkish jewelry master, whose handcrafted pieces are one-of-a-kind creations. Today Barneys has the honor of being the only retailer to represent this talent that allures customers from other countries to the NYC flagship store. Guiding us from one floor to another, Taylor explained that only the latest, freshest pieces selected by Barneys’ buyers during fashion shows make their way to the store shelves. The look of the store is dictated by the collection and changes every season. Barneys doesn't look like a luxury department store, it's more like an art studio - a big bright space filled with natural light that isn’t overcrowded with merchandise or customers. It is very unusual, especially for a store in NYC, where business owners try to maximize their income by using every single inch of a pricey Manhattan retail space. Moreover, Barneys offers a truly unique shopping experience — it is free of advertisements. This type of retail space set-up offers shoppers an opportunity to relax and pay attention to what matters to them. During the tour we found out that Barneys’ original location was in downtown Manhattan, but later the store moved up to the Upper East Side. Mr. Matthew Bauer, the president of Madison Avenue Business Improvement District (BID), who gave us a tour of Madison Avenue after we finished our tour at Barneys, explained why Barneys decided to move to the Upper East Side. BID is a nonprofit that was established in 1996 to enhance the quality of life for both the local community and its visitors that come to the neighborhood searching for world’s most celebrated boutiques. Barneys, just like other high-end stores, chose to open a location on the Upper East Side to be closer to their customers. 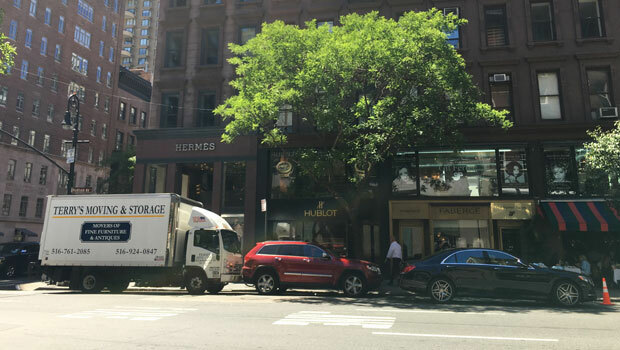 Being a property owner, Barneys gives back to the community by contributing to the Madison Avenue BID so that they can upkeep Madison Avenue and ensure it retains its excellent shops and its signature look. Madison Avenue on the Upper East Side is not only a residential neighborhood, but also a premier luxury district in Manhattan. It reminds me more of a high-end shopping center. The reason why about 200 luxury stores are located so close to each other is the local community. Luxury retailers that have other locations within a 10-minute walk on 5th Avenue still keep their Madison Avenue locations open mostly because of the people who live on the Upper East Side. This neighborhood has its own micro-culture that was formed by the community and its lifestyle. Its demand for luxury is so strong that retailers sign only long-term leases and treasure their spots. It was very exciting to find out about the business side of the unique micro-culture and market that formed on the Upper East Side and to learn about luxury retail. 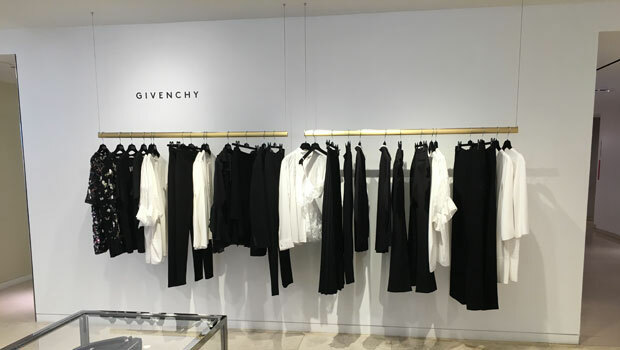 InterExchange offered a rare opportunity because Barneys does not offer tours to the public, and we were lucky to get a chance to get a private tour of the store and to discover Barneys not from a customer’s point of view, but from a professional’s one. 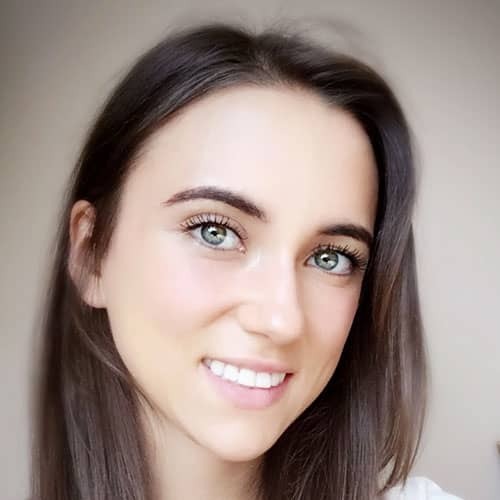 Originally from Russia, Anna is currently an Intern USA participant in New York City with a focus in marketing.